COADE STRESS ANALYSIS SEMINAR NOTES by COADE: Must have tutorial guide for every piping stress engineer using CAESAR II. Explains in details all the basics of Caesar II application. PIPING HANDBOOK by M L Nayyar: One good book for both stress and layout engineers with huge important database on piping engineering. Refer this book for any data you require during your day to day piping works. PIPE DRAFTING AND DESIGN by Rhea and Parisher: The best book for a beginner. Covers the basics in simple language. Very easy to understand. PROCESS PLANT LAYOUT AND PIPING DESIGN by Hunt and Bausbacher: The best book for a piping layout engineer. 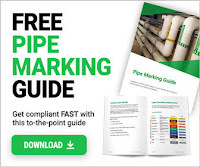 Covers the basics of piping layout. Most of the preliminary layout ideas connected to any equipment evolves from this book. So read this book attentively for effective layout knowledge.